NAVIGAMUS BLOG A VELA: The "Società Velica di Barcola e Grignano" and the "Barcolana"
The "Società Velica di Barcola e Grignano" and the "Barcolana"
The "Società Velica di Barcola e Grignano" was founded in Trieste in 1968 by the will of a handful of partners in love with the sea and sailing. A small place and few boats but a lot of passion. A year after its foundation the members of the time thought of organizing a regatta as a challenge to declared all the boats in the gulf. So, I decided to enroll in the Italian Sailing Federation registration in the calendar of the regattas, but we are just registered and decided to transfer it at the end of the season as the last event of the year. This is how the Autumn Cup was born, today the Barcolana arrives from all of them. In many years the company has grown expressing on all the race fields also international bringing numerous athletes at the top of the world. The Barcolana is a historic international sailing regatta held every year in the Gulf of Trieste on the second Sunday of October. Known for being one of the most attended regattas, from the 2017 edition, the Barcolana, with 2101 registered boats, stands at the top in the ranking of the most crowded regattas in the world, a goal achieved and reached with commitment by the whole Sailing Company Barcola and Grignano. The particular formula that distinguishes it makes it a unique event in the international sailing scene: on a single starting line in fact they find themselves competing side by side with professional sailors and simple enthusiasts, on boats of various sizes that are divided into categories depending on the length all out. Founded in 1969 by the Società Velica di Barcola and Grignano, it owes its full name of the Barcolana Autumn Cup Regatta to the fact that it has always been held on the second Sunday of October, at the conclusion of the sailing club season. The first edition participated in 51 boats, all of Trieste sailing clubs, but year after year the popularity of this event has grown to involve international crews with world-class sailors. The Barcolana is an event that involves not only sailors but the entire city, attracting tourists from abroad. 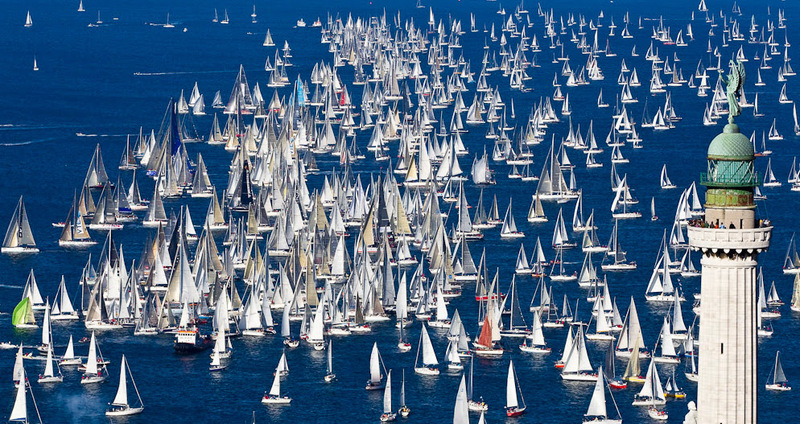 Every year around 25 thousand sailors take part, while the public reaches more than 250 thousand people, who follow the regatta both from the shores of Trieste and from the heights of the Karst. 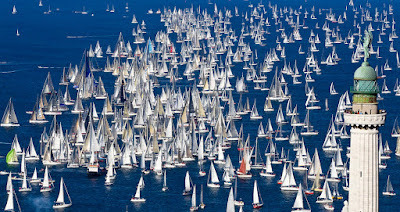 The particular conformation of the territory around the Gulf of Trieste makes it possible to observe the race from many observation points, in what is in fact a natural "stage of sailing".